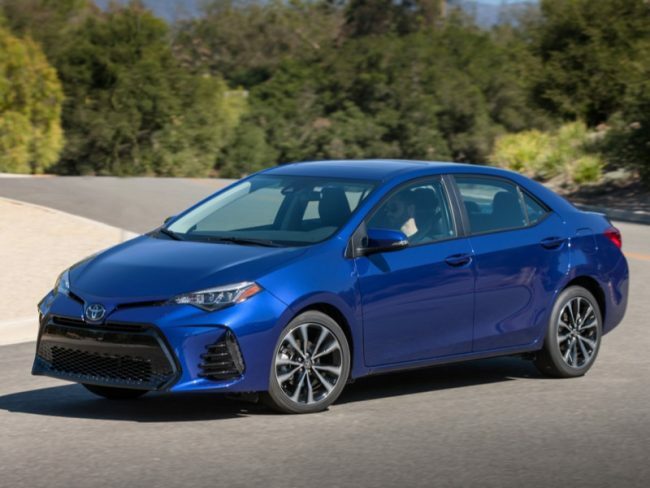 The new Corolla is arguably the best-looking that Toyota has delivered to date and now it is also the absolutely safest in its lineage. 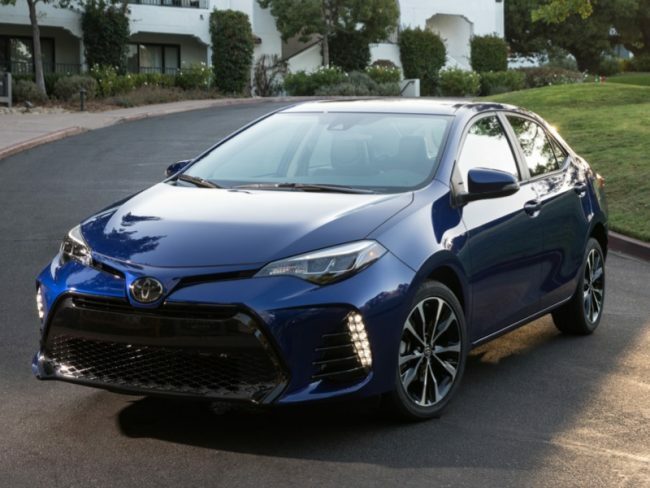 All Corolla models now come standard with TSS-P, a system that bundles the likes of pre-collision technology with pedestrian detection, lane departure alert with steering assist, dynamic radar cruise control (yes, on a base Corolla), and automatic high-beams. Toyota states this puts the brand four years ahead of the model-year 2022 industry target for standard automatic braking, an initiative backed by NHTSA and IIHS. There are some minor vanity upgrades for the 2018 Corolla, in the form of all model grades getting illuminated driver and front passenger visor vanity mirrors. Other enhancements include upgrades on individual trim levels that are minor in nature as most automakers do year-over-year. The new Corolla rides and drives as politely and easily as it has in recent years and reviews and it is a highly recommended model. 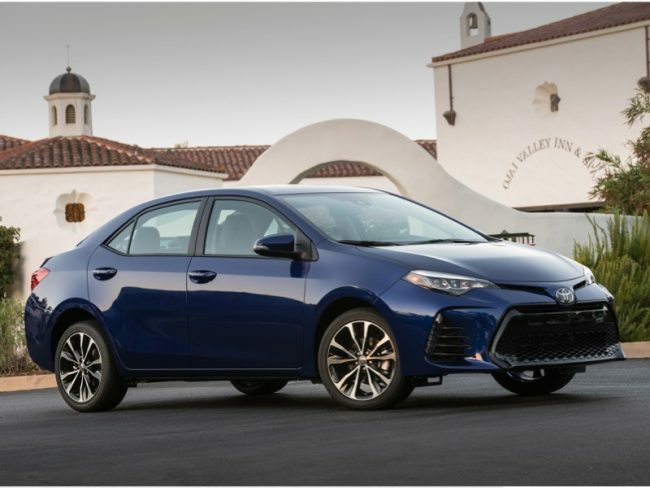 One of the most unique characters of the Toyota Corolla is that buyers can still get (drum roll please) a manual transmission. This may be the singular aspect that made my week behind the wheel more enjoyable. It had been quite some time since I last reviewed a vehicle with manual shift and a clutch and it really takes my back. I was nostalgic but so few automakers offer a “standard” transmission these days, just like very few new vehicles have CD players anymore. And to really engage the “way back machine” is the fact this tester came in the same color blue of my sister’s very first car in the late-70s that was a Toyota Corolla. Hers was a two-door but it was a great vehicle that she drove for years. Aside from the nameplate and the body color, little else in the 2018 Corolla reminded me of that ’79 model. There is so much new technology in vehicles today, even at the base levels. Our tester arrived in sporty SE trim powered by peppy little 1.8-liter DOHC inline four-cylinder engine making 132hp and 128 lb. ft. of torque. Mated to the six-speed manual gearbox and this little sedan provided an enjoyable driving experience and there was ample passing power. 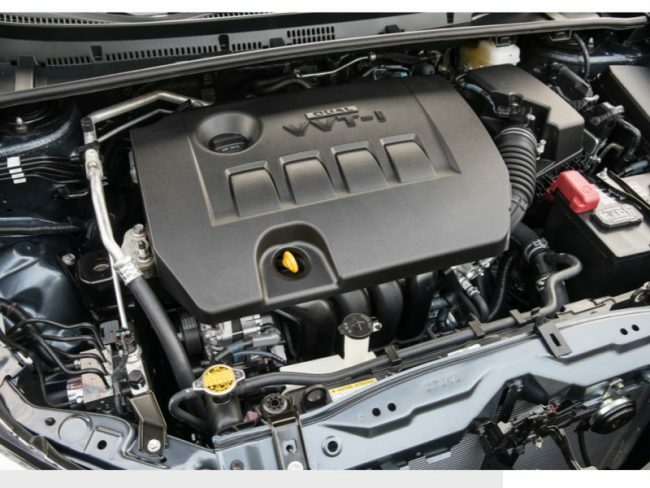 Toyota has done an admirable job at reducing the noise, vibration, and harshness that used to be so commonplace in small vehicles with small engines and the Corolla is no exception. 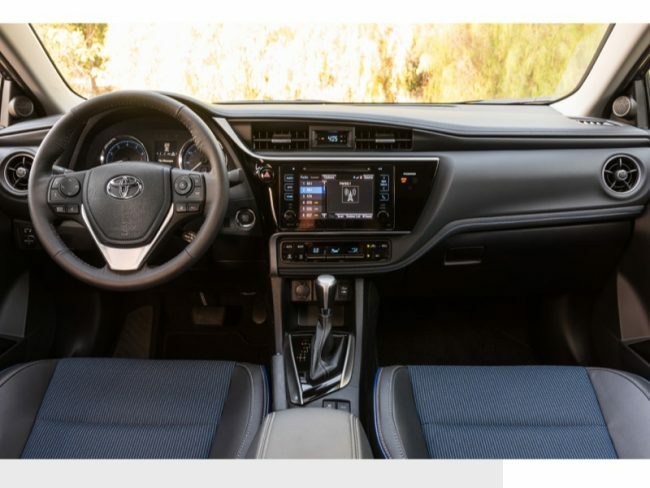 Creature comforts and amenities are plentiful in the new Corolla so long as occupants keep in mind this is not from the corporate line of luxury vehicles known as Lexus. Corolla holds its own in the subcompact segment with features such as 17-inch alloy wheels with all-season tires, integrated backup camera, three-spoke steering wheel with tilt/telescoping column, Entune Audio system with touchscreen display, USB and Bluetooth connectivity, and automatic climate control with dust and pollen filter. 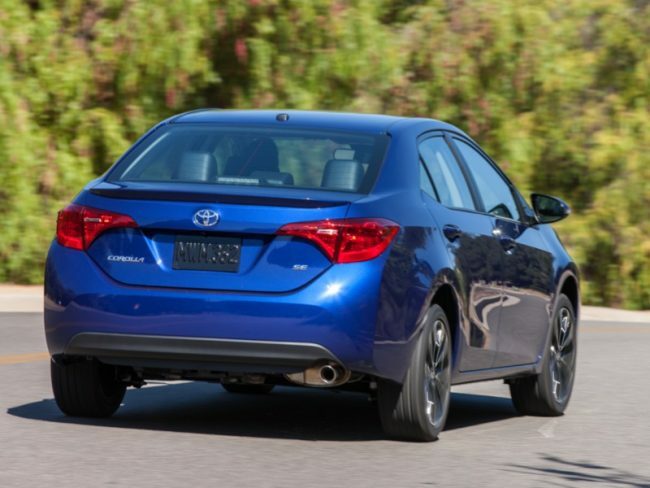 Work your way up the trim levels and Corolla offers quite a lot. Pricing for a 2018 Toyota Corolla begins at $18,550 with our SE tester arriving with final window sticker of $22,834. Fuel economy is rated at 27 mpg city and 35 mpg highway and Toyota offers an LE Eco model that sees 40 mpg highway. Since those first models began arriving in the U.S. some 50 years ago, the Toyota Corolla has been one of the most popular cars here. Eventually, it yielded its Uncle Sam crown to sibling Camry, but in the 150 countries where it is sold around the globe, it is still in high demand. That’s about 1.5 million cars sold annually around the world where Corollas roll of the assembly lines at 16 plants – bigger, better, and safer than ever before.